Used in the treatment of malignant and benign biliary strictures, the EGIS stent improves patency to the stenosed biliary tract using a conformable and flexible stent without compromising on radial strength. The EGIS range of biliary stents from S&G Biotech provides a comprehensive and quality offering to the Interventional Radiologist and Endoscopist. The delivery system is braided and offers excellent trackability and pushability allowing for over the wire or endoscopic delivery. 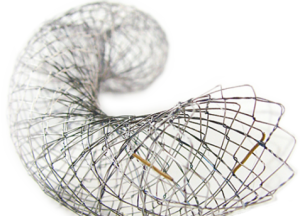 The stents are available in double bare and double covered configurations and use a covering of a non-biodegradable silicone membrane which will aid in preventing tumor in-growth.